A stationery engine is an engine which is not movable. It is basically used to drive immobile equipment such as a pump or a power tool. These steam engines might be powered by oil burning or internal combustion engines. So the name of the magazine comes basically from this type of special engines. This monthly journal is published once in a month that too in the first Friday of every month. This magazine is basically followed by the engineers or mechanics and as well as the budding engineers and mechanics. It is high demand because it holds information about the old age stationary engines its uses, their mechanism their functioning everything in details. 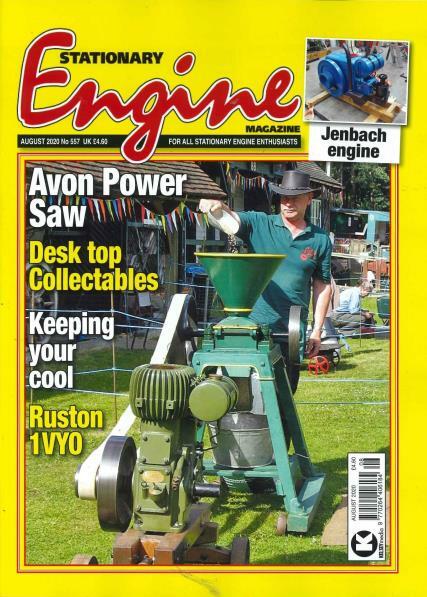 This magazine is an ideal for people like me who like to incur knowledge about such old age engines. It gives its readers an overview of science at that time. The magazine helps to solve queries of its readers as they have a separate segment for it. It publishes different articles for different segments such as diesel injection system, generators with stationery engines, identifying lister diesels. This is an ideal magazine for those who are interested about engine’s history as it gives a good over view of the past engines and its different uses. Brilliant magazine, its what I was looking for.